This was originally planned as the strip for April first, to appear ON April Fool's day and then I decided to go with the crossroads strip instead because Tiffany and I thought it was funnier. When I saw the results of a poll about April Fool's Day, showing that nearly half (46%) of those polled were bothered by practical jokes, I decided to make this the next strip instead of saving it for next year. I have to admit, I've never really been a fan of practical jokes. And to be honest, it wouldn't surprise me to find that the guy stealing sandwiches from the office fridge is the same guy who's wrapping your cubicle in cellophane. In fact, it wouldn't surprise me if some scientist found a correlation between those things. 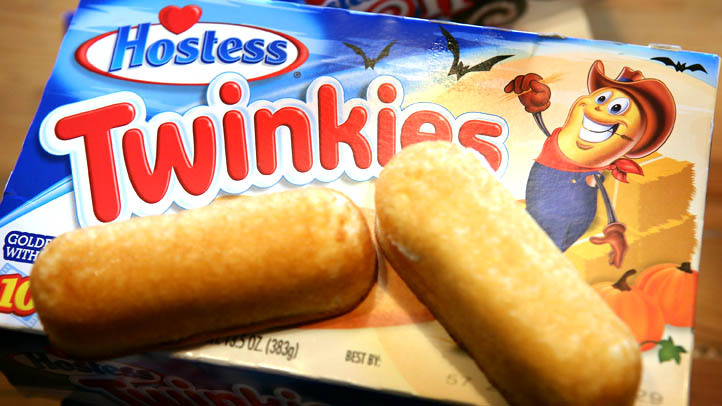 Also... anybody else want Twinkies now? The funny thing is, the resemblance didn't even occur to me until I was nearly finished coloring this strip. Posting here might be easier for me than posting on DA now that it's blocked here. Yeah, work firewalls are a pain.